Spend time on production, not maintenance and installing. 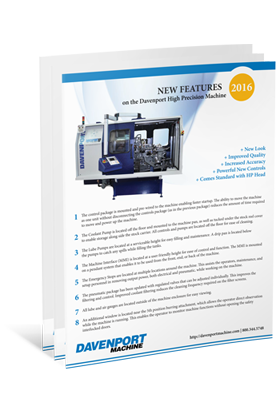 At Davenport Machine, we know our customers need to meet high production demands with speed and accuracy. Fill out the form to the right to access Davenport HP resources.